Commuters in Tempe, Arizona can now hail a self-driving Uber, as the company has begun testing its autonomous vehicles in the city with the blessings of the state government. 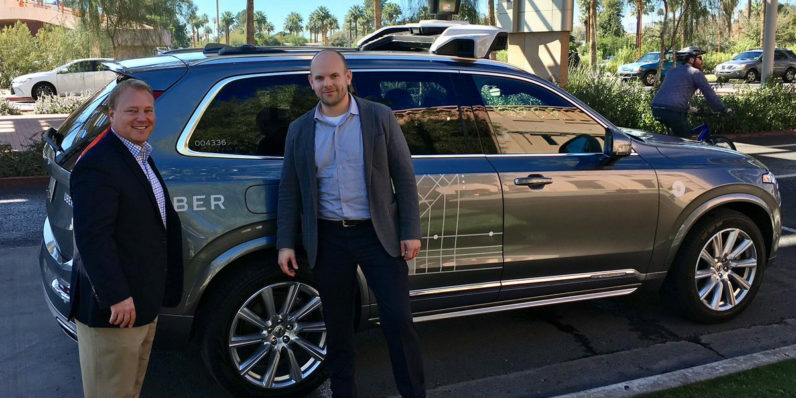 News of the trials follow a ban on Uber’s self-driving cabs in San Francisco last December; the company was barred from testing those vehicles for failing to register them, and was subsequently invited to Arizona by Governor Doug Ducey. This is the third city where Uber will be putting its autonomous taxis to the test; it first rolled them out in Pittsburgh back in August 2016. Want to try one? Just book an UberX in Tempe and you might be matched with a self-driving car if one is available at that time. Of course, you won’t be alone in the vehicle: Two human operators will be seated in front throughout the testing phase. Meanwhile, back at headquarters, the company is investigating claims of sexism within its HR and management groups. Former Uber engineer Susan Fowler alleged in a blog post earlier this week that her complaints about sexual harassment by her superior went ignored, and that she was blocked from transferring to a department of her choice because her manager believed that having more women on their team would make them look good. Outside counsel, as well as board member Arianna Huffington, are looking into the matter.